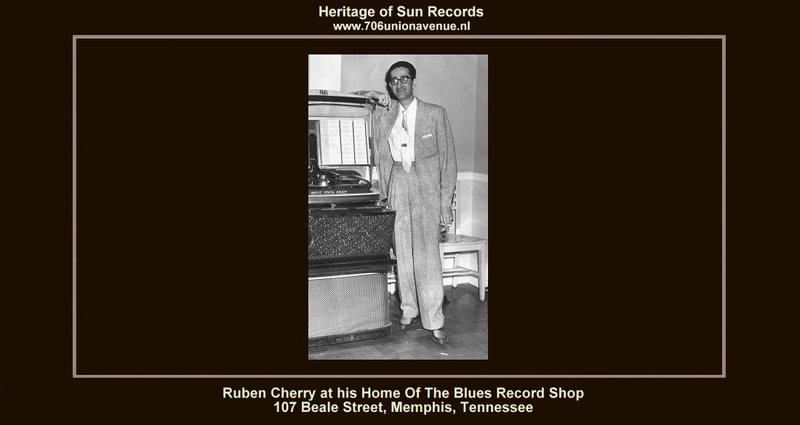 Originally founded in 1960 by Ruben Cherry owner/operator of the Home Of The Blues Record Shop at 105-107 Beale Street (billed as ''The South's Largest Record Store'') in Memphis, the small regional label (and its affiliated publishing companies) were only active for a few years, but recorded many wonderful examples of post-Sun blues and rockabilly and pre-Stax and Hi soul. 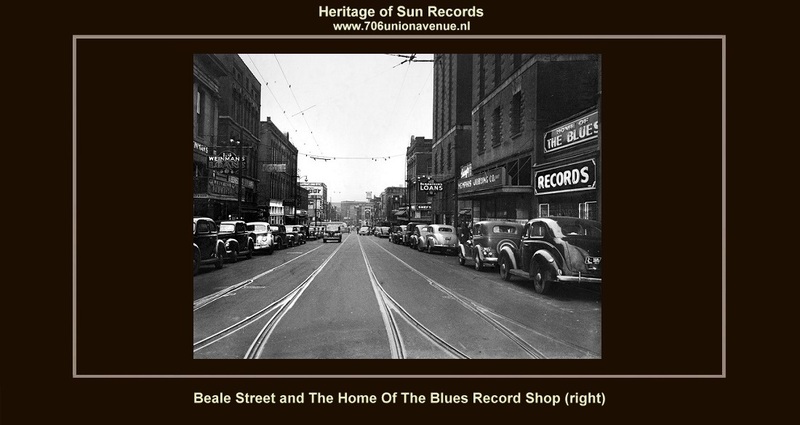 With the financial backing of Cherry's aunt, Mrs. Celia G. Camp, who derived her wealth from the oil business, the companies began as an outgrowth of the Home of the Blues record shop at 107 Beale Street. Later, the record store moved around the corner to Main Street and continues to thrive. However, despite the continuing success of the store and the engagement of another Camp nephew Wolf Lebovitz, who diversified the label with affiliates such as 1st, Zab, Rufus and Six-O-Six Records, the label ceased operations by the end of 1962. Nevertheless, for a short time both before and after that, it did lease existing, as well as new productions to other labels. Following Cherry's death and prior to her own, Mrs. Camp left the assets of the label to Lebovitz. HOTB's early roster contained fine period original recordings by rhythm and blues vocal stylists Roy Brown, The 5 Royales., Larry Birdsong, Dave Dixon and Jimmy Dotson, in audition to a hit by Willie Cobb that it leased from a local rival. In addition, HOTB recorded a good deal of instrumental music by the likes of trumpeter Bowlegs Gabe. Topping the list of instrumentalists, however, are the initial recordings and productions by a future star of 1970s soul music, Willie Mitchell. It was while at HOTB that the trumpeter honed his skills to become the great band-leader and record producer of so many fine recordings to come from the Hi label, especially those by the now-notorious Reverend, Al Green. Talent of varying stripes found its way to the HOTB label, where the down-home blues man Woodrow Adams also found release, but highly-revered Chicago guitarist Sammy Lawhorn did not. HOTB gave a chance to numerous local unknown and amateur vocalists (soloists and groups, both black and white), but, with the exception of James Austin (aka Charles James), none created much of a stir and many remained unreleased. One fine white vocalist who did see release on the label was rockabilly star Billy Riley, but rockabilly legend, Harmonica Frank Floyd, was only among the possibilities for release when the label folded. (Frank's recordings may yet see the light of day, as the original session tapes were found intact when the label and its publishing affiliates were acquired by Delta Haze Corporation some years back). Another couple of white artists, both vocalists/instrumentalists, were recorded at the end of HOTB's lifetime and did see release – one on Home of the Blues and the other on subsidiary 1st Records. They are Billy Adams and Bill Yates. Both are examples of the influence that black music had on young white singers and musicians in the late 1950s and early 1960s. RUBEN CHERRY – Owner of Ruben Cherry and his Home Of The Blues record shop at 105-107 Beale Street, billed as ''The South's Largest Record Store''. Cherry had bought the premises in the late 1940s after he came out of wartime military service. He had been born in Memphis on January 30, 1922 and his parents, Harry Cherry, a naturalized Russian, and Ida Goldstein, ran a grocery business, Rosen's Delicatessen at 606 South Lauderdale just south of Beale Street. In the family tradition, Ruben Cherry was a good but cautious businessman. He advertised his store as being '' on the street where the blues was born'' but he stocked the full range of music - pop, jazz, and country as well as blues - and he prided himself that he kept in stock one copy of every disc in print at any time. His shop was frequented by black and white customers including disc jockey Dewey Phillips, Elvis Presley, and Johnny Cash. Cash recorded a song confirming ''you'll find me at the home of the blues'', and Cherry stood behind his old wooden counter with photographs of himself - as president of the local Variety Club - with Presley, Marilyn Monroe, Jackie Wilson and other entertainers. Not that Cherry was universally liked. Some described him as ''peculiar'' and writer Robert Gordon quotes Milton Pond from a rival record dealership, Poplar Tunes, saying: ''Lots of people didn't like Ruben. They thought he was pushy and too obnoxious. The main thing I remember about him, up by the cash register he had a nickel glued on the glass counter. He'd wait for somebody to try to pick it up, and when it wouldn't move he'd get the biggest kick out of that''. According to musician Jim Dickinson, ''Ruben kept this rubber rattlesnake behind the counter which he used to scare off would-be stickup men. When he held it, it really liked real. When it was not there one day, Cherry said ''that goddamn Elvis Presley, he came in here and stole my rubber snake and ran down Beale Street shaking it''. Guitarist Ronald Smith remembers, ''Ruben Cherry used to sell me records back when I was a kid, 1949 or so. He'd special order in guitar records for me by Chet Atkins. Ruben was kinda eccentric, a bit unusual. He'd chase people out of the shop, us kids. He jumped all over me one day for no reasons and I figured he'd confused me with Reggie Young who'd ordered a disc and not collected it''. Ruben Cherry apparently had a deep interest in black music and many connections in Memphis and nationally. Eventually he decided to channel this interest into his own label, which was bankrolled by his mother's sister, Cella Goldstein, who had also started out in the delicatessen business before marrying Clarence Camp, owner of Southern Amusements a 628 Madison Avenue in Memphis. The path from jukebox and record dealing into label ownership was a familiar one in most US cities. In their edition of August 13, 1960 the Cash Box ran a story below a photograph of Cherry with rhythm and blues star Roy Brown: ''Memphis, Ten – Newly formed label, Home Of The Blues Co. has signed two artists to wax exclusively for it. HOTB execs Ruben Cherry, president, and Mrs. C.A. Camp, sectreasurer, are shown inking the contract with Roy Brown''. Brown opened the label with release number 107, after the address of Cherry's store, Cherry and Camp recorded a mix of established black performers, such as Brown and the Five Royales, and local singers associated with the Memphis club scene, like Willie Mitchell and Bowlegs Miller. The latter was a regular at the Flamingo Room, a club upstairs above Cherry's store. Willie Mitchell provided the studio band and from accounts by Mitchell and Jim Dickinson (who recorded there as Little Muddy) it seems that most of the earliest HOTB sessions were made at the Fernwood Records studio at 415 North Main Street. Roy Brown told John Broven: ''I did a few things for Home Of The Blues in Memphis in 1960. It was Willie Mitchell's band, he was quite a guy. It was just a small studio... near to radio WDIA... but the guy we had on my session was Scotty Moore who handled the session. And I had two things that went well, as a matter of fact we sold forty four thousand copies of ''Oh So Wonderful'' in Memphis alone, but the company didn't have (good) distribution outside of Memphis''. Ruben Cherry and Celia Camp diversified in mid 1961 by setting up subsidiary labels to issue music produced and bankrolled by independent producers. The Zab, Rufus, Six-O-Six (named after the store address where Cherry lived as a child), and 1st Records labels were an effort to ring the changes. Mrs. Camp was wheeling and dealing in more than records: Billboard reported on May 22, 1961: ''Memphis: Mrs. Celia G. Camp has purchased the majority of the stock in Southern Amusement Company from her ex-husband... the largest phonograph and game operation in the mid-South... Camp began his coin machine empire in 1938, with Mrs. Camp's help. They founded Southern Distributing Company with Kenneth Wilson. Wilson has long since left the field and is now a multi-millionaire builder and president of Holiday Inns Inc... Mrs. Camp owns Music Systems Inc, 407 Madison Avenue, where her office is, a background music operation. Mrs. Camp also owns oil wells in Kentucky, Illinois, and Arkansas. A year ago she helped found HOTB record company and is secretary-treasurer of it. She has put up the money for its operation. They are hoping to become a hit-producing record company, have great hopes for the Five Royales they are recording''. These hopes soon met the reality of average sales figures, and Camp brought in her nephew, Wolf Lebowitz, a Memphis-born journalist and photographer, who hawked the label around the northern record business. By November 1961 Billboard was reporting: ''Chicago – Vee Jay president Ewart Abner has worked out an agreement with Ruben Cherry's label HOTB to distribute the latter's records. Future HOTB releases will be issued on Vee Jay with an additional emblem of HOTB''. Soon, the label would transfer this arrangement to ABC-Paramount Records and their Apt subsidiary. Ruben Cherry's dream of a successful rhythm and blues label had collapsed through weight of competition from Hi, Stax and others, and his Home Of The Blues label closed. The record store continued to trade through the 1960s but Cherry died in January 1976, aged just 53, after 27 years in the record business.